Imagine a world, in which we would have a glimpse of tomorrow’s destination, after this earthly life… …and then come back to this life with the knowledge of the existence of a new reality somewhere else than the familiar earth we live in. The world is changing and opening up to the reality of Near Death Experiences and to the possibility that life does not stop at the end of our physical existence here on earth. Deep emotional life crisis lead to my Near Death Experience, in conjunction with medicines for heart arrhythmia. This profound and powerful life changing event, during which I visited a part of the place I felt or describe as ‘Heaven’, transcended my faith and heightened my understanding of Love, Compassion, Goodness, Kindness, and Acceptance of all. Since my profound experience, I am striving to bring the elements of the NDE into my daily life and in my interaction with others. I feel it is important to share what I learned from the experience and bring it together for the common good of all and thus, help each and everyone of us to live a better life here in the now. Prior to my NDE, my professional career background includes working in the foreign diplomatic service in Europe. This has enabled me to meet people from around the world with very different backgrounds and through the course of my career, I have realized that regardless of the level of influence people exercise, we are all on a journey. My NDE occurred in June 2008. My body was shutting down due to extreme emotional distress, the medications I was using and my desire to just stop living. I was suddenly transported in a place I call heaven filled with an inexpressibly beautiful light. 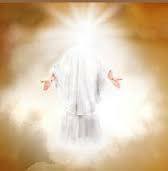 While I bathed In the midst of this limitless shining Light, Jesus came towards me in an energy/light/translucent form. As he touched me, I felt completely embraced by His Love, both Father's and Mother's love, the love you feel for the ideal parent when you are a child: safe, accepted, loved, cherished, protected. Christ wrapped me in His love completely and He kissed me in the purest way, on my face, eyes, cheeks and lips like a Mother kisses her baby with tenderness. Though he was in His energy form, I felt His immense affection for me. The uniqueness in my being was perfectly cherished I was engulfed in the Love of all eternity. After Jesus answered a few questions about my life, He suddenly took a human form and he looked like the Jesus who is traditionally portrayed. He walked on my left and we were in a very brilliant environment glowing with an effervescent joy. It was like walking on a magnificent road on a very sunny day, in the best summer vacation day...I could see some beautiful building in the distance... The entire atmosphere was permeating the highest feeling of Love, light, joy, happiness, peace, safety, and everything was infinitely possible. All I ever wanted was was a breath away. Suddenly, I felt to my right some presence coming and I turned around. There I saw about a dozen young angels with long colorful robes making there way to the same place we were heading towards: The Celestial city. One of them looked at me naturally and then he turned his head towards Jesus. When he saw Jesus, his face literally shone with an incredible light because of the joy he felt. They all rushed in His arms. Jesus told them telepathically that His time was to be shared with me and he kindly offered they go back to their teachers angels. I look where they went and I saw about 6 or 7 magnificent female angels with long white robes smiling at us/me with love, kindness, tenderness, joy, respect, consideration, purity, light and acceptance. None of the negative feelings find on earth exists in that the all embracing Light. The young angels went back to their teachers. I then told Jesus I was too tired to go back on planet earth, life was terribly difficult and that many people were mean, selfish, disloyal, unfaithful, uninterested in unconditional love. I told Him I would not make it if I was to return. He looked at me with gentleness, kindness and strength as He suddenly hovered higher in space in front of me and expanded in size to be 900 feet tall - Christ then kindly reached towards to my soul with utter compassion and understanding and said: ." Yvonne, I will fill you with my strength and my power, I will fill you with my energy of life. I felt an incredible sparkling liquid energy fill my entire being to the deepest core of my being was filled with this regenerating wholly energy of Life. Christ then said to me: "I have much love for humanity, I have so much love for my babies (meaning us all. I said I understood because He had taught us all how to live God's love while on earth . He went on : "I want to show you how much" He took my 'heart' or my being, my identity, the energy that is me and he merged it, blend it, with His heart and for a moment we were One. I exploded into the LIght Itself. I could feel all His feelings of love, It was mind blowing - Waves of love, of energy, millions of love related emotions, light, power love. I was in the presence of the All and merge to such a indivisible consciousness, that I became Him. I was Jesus, the same way I was Yvonne, feeling every atom of this powerful boundless explosion of love for lack of better words. It stopped suddenly and without a word, only a knowing, I understood that my time with in Heaven was coming to an end and It was time for me to return to earth. I was translated into the Light of Pure Love and Utmost. Happiness. In that place I call Heaven, your mind is alert, your vision perfectly clear and your awareness heightened. Nothing anymore to weight your mind down with fear or worries. In fact, You are unquestionably Free! This Translucent Being of Light coming towards me was unspeakably loving, filled with an innocent purity and kindness, eternally ready to love me and every existing soul. At that instant, I know our connection is deeper than family, it is the indivisible Oneness. I feel complete certainty that I am in the presence of Love Itself. I am far above all human reality. I feel free in this limitless consciousness as the Being of Light, Christ, communicates his/her perfect understanding of all I am. 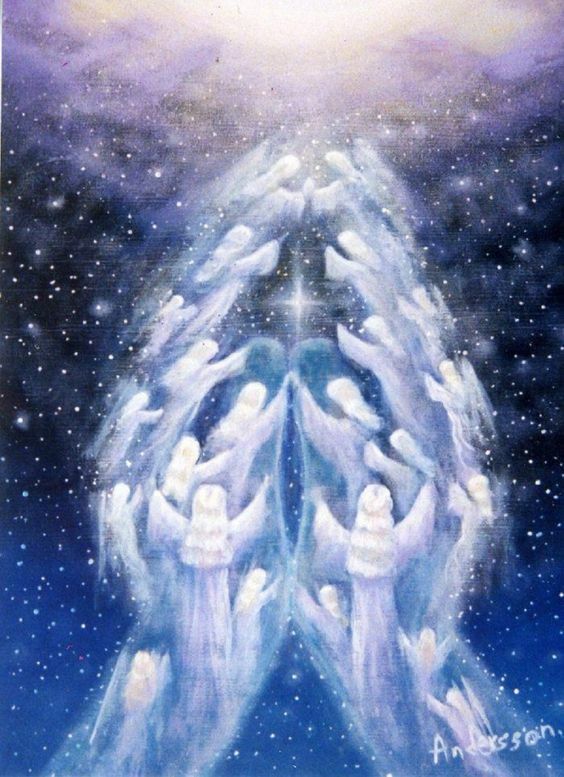 In heaven, all souls have realized that the source of All love is within themselves and everyone single soul is dedicated to helping others achieve their purpose. PL. Click here for more details of my journey in the Light we call Heaven. During my time in the Light of Heaven, I understood a few realities veiled while we are on earth. Christ and everyone I met were resonating with the same message: We are all One Family birthed in the Creator's Light of Love. Every single spirit being of light, angels and Jesus resonated as One, united, aligned Spirit of kindness, love, tenderness and inclusion. Everyone had each other's back 100% of the time. We were never separated in thoughts. Our mind interacted instantly and we understood the most subtle impression in others as I experienced instantly with anyone interacting with me. I was certainly aware that beyond us was the greater source of it all, the Creator, the great One or in a more familiar word: God. In this state of awareness, I knew with all certainty that every single one of us is worthy of Creator's love.